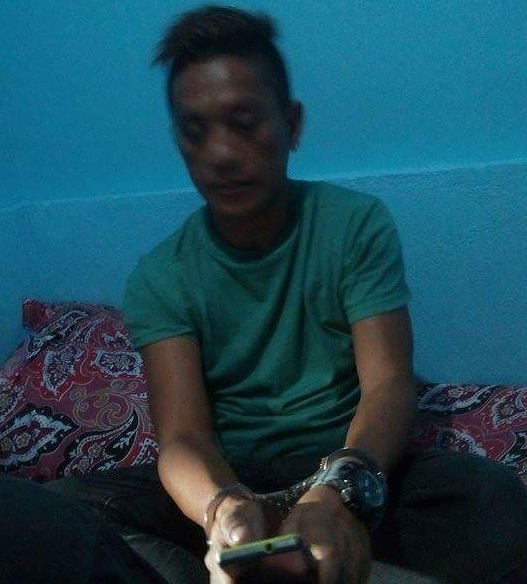 Agents of the National Bureau of Investigation (NBI) in Bohol arrested an alleged drug lord from Bukidnon province inside a lodging house in Barangay Tinago Dauis at 1 a.m. Saturday. The authorities identified the suspect as 43-year-old Ramil Mulleon, a resident of San Fernando town, Bukidnon. According to Atty. Arcelito Albao, executive officer of NBI-Bohol, they knew of Mulleonâ€™s movements as a police asset in Bukidnon informed authorities that the suspect travelled to Bohol. This prompted the NBI team to set up the operation against Mulleon who was apprehended inside 2 Lovers Inn at Brgy. Tinago. Mulleon checked in the lodging house with a woman who reportedly opened the door of their rented room for the apprehending NBI agents. The woman also allegedly presented to authorities a traveling bag containing 10 packs of shabu. NBI agents seized the contraband which was estimated to be worth P50,000. According to Albao, authorities have been monitoring Mulleon and a femaleÂ big-time drug personality suspected of selling millions worth of illegal drugs out of General Santos City. Albao speculated that Mulleon intended to move his illegal business in Bohol thinking it would have been safer to operate in the province.